Offering practical and innovative business and commercial law solutions, we provide dedicated legal services at the law office of Leslie Wm. Adams & Associates. Serving clients in the Houston, Texas, area, our attorneys work with those we represent to achieve efficient, effective solutions, so they can focus on the legal and profitable operation of their businesses. Our law office accepts credit cards for the convenience of our clients. Having 40 years of experience, we have assisted businesses in industries such as oil and gas, banking, biomedical, entertainment, internet marketing, and construction and real estate, to name a few. 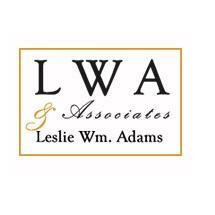 Previously serving as the vice president for corporate law with a Fortune 500 company, Leslie Wm. Adams draws on his background to provide finessed and focused counsel. Since 1973, we have aided business owners and directors with a complex range of issues. Our attorney's experience includes guiding business clients through entity formations, contract drafting and review, corporate governance, breach of contract and employment law disputes. We also provide consulting services, advising clients looking to enter new markets or grow their existing business, and we offer regulatory compliance guidance. Whether providing reactionary or preventative legal services, our team at the law office of Leslie Wm. Adams & Associates offers personal attention and customized guidance. We discuss our clients' needs with them and explain the laws and regulations as they apply to their unique situations. Our attorneys work closely with those we represent, crafting customized strategies aimed at helping them resolve their legal issues and make the most of the opportunities available to them. For practical and dependable advice on a wide range of corporate or commercial legal problems, contact the law firm of Leslie Wm. Adams & Associates. The importance of sound legal contracts in business is beyond estimation. The law firm of Leslie Wm. Adams & Associates offer sound counsel, dedicated guidance and zealous protection in all business law matters. Every successful business today incorporates intellectual property into its services, from its name to its assets. In every business space concerns and equipment procurement must be carefully considered in order to control costs and maintain profitability. If you need help with business entity selection, corporate registration, or documenting the terms of an operating agreement among the members of a limited liability company (LLC) contact our firm.